Tom Joyner announced on his show today, Tuesday, October 31st, that guests aboard the 2018 Tom Joyner Foundation Fantastic Voyage will be treated to an exclusive Evening With Anita Baker. The eight-time Grammy Award winner will honor radio pioneer Tom Joyner by performing live aboard his annual benefit cruise sailing April 29 – May 6, 2018. Anita Baker's performance will be a highlight on the cruise as well as part of a celebration of Joyner’s 25 years in syndication. As the most groundbreaking entertainment cruise, the charitable endeavor is known for featuring over 60 entertainers and comedy acts along with daily empowering seminars, theme nights, morning inspiration, concerts, shopping, beach parties, fitness, late night after-parties, parades and a cavalcade of celebrities celebrating Tom Joyner’s efforts to assist students attending Historically Black Colleges and Universities. 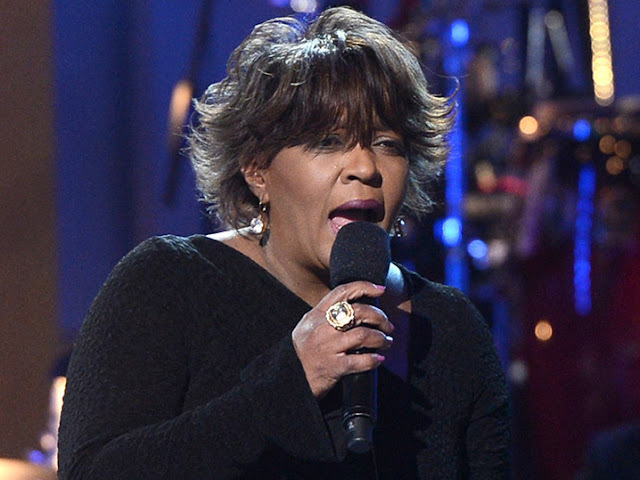 Catch Anita Baker on Twitter at @IAMANITABAKER. Tom Joyner can be found on Facebook at @TomJoynerMorningShow and on Twitter at @TJMShow. Details on the cruise can be found at BlackAmericaWeb.com or call 972.980.S-A-I-L.
SWV, En Vogue, Jones Girls, Heatwave, GQ, Taste of Honey, The Sylvers, Brothers Johnson, Ying Yang Twins, Eastside Boyz, Trillville, YoungBloodZ, Bonecrusher, Raheem Devaughn, Dwele, Eric Roberson, 112, the Manhattans featuring Gerald Alston, Force MDs, Das EFX, Grandmaster Melle Mel & Scorpio (Furious Five), DJ Kool, EPMD, Fat Boys. Now in its 19th year, the original Party with a Purpose® will sail from Galveston, TX April 29 - May 6, 2018 and make stops in Montego Bay and Cozumel on the Carnival Breeze. This chartered cruise event features a customized seven-day itinerary with concerts, celebrities, inspiration, motivating seminars, and more while raising money to help keep students in school at Historically Black Colleges and Universities.